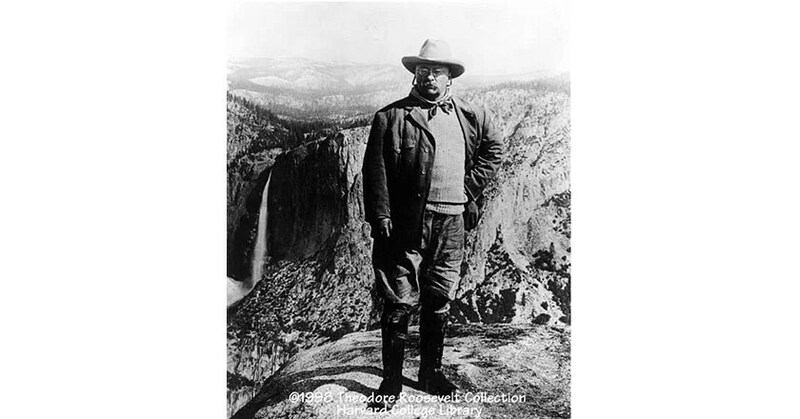 Theodore Roosevelt (October 27, 1858 – January 6, 1919), often referred to as Teddy or TR, was an American statesman, author, explorer, soldier, naturalist, and reformer who served as the26th President of the United States, from 1901 to 1909. 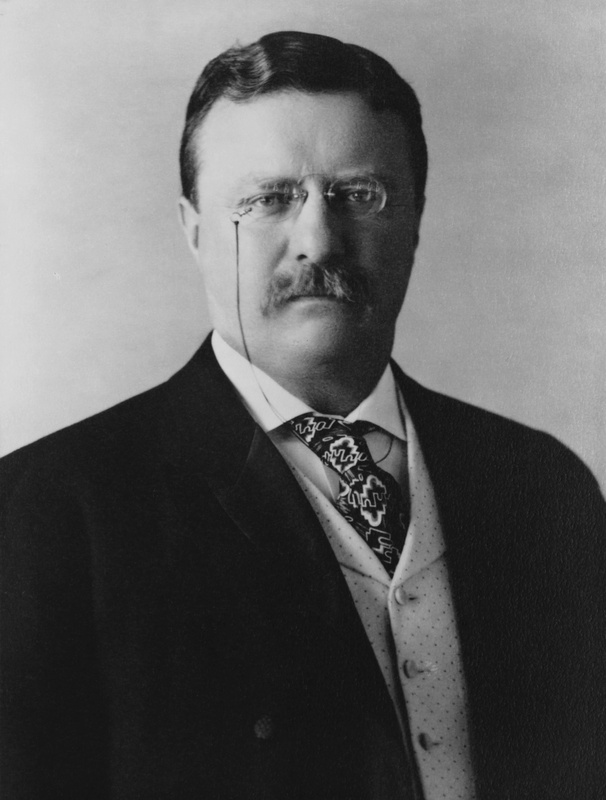 A leader of the Republican Party, he was a leading force of the Progressive Era. Born a sickly child with debilitating asthma, Roosevelt embraced a strenuous lifestyle and successfully regained his health. He integrated his exuberant personality, vast range of interests, and world-famous achievements into a “cowboy” persona defined by robust masculinity. Home-schooled, he became a lifelong naturalist before attending Harvard College. His first of many books, The Naval War of 1812 (1882), established his reputation as both a learned historian and a popular writer. He entered politics, becoming the leader of the reform faction of Republicans in New York’s state legislature. Following the deaths of his wife and mother, he escaped to the wilderness and operated a cattle ranch in the Dakotas. He returned to run unsuccessfully for Mayor of New York City in 1886. He served as Assistant Secretary of the Navy under William McKinley, resigning after one year to serve with the Rough Riders, gaining national fame for courage during the War in Cuba. Returning a war hero, he was elected governor of New York in 1898. A frustrated party establishment made him McKinley’s running mate in the election of 1900. He campaigned vigorously across the country, helping McKinley win reelection by a landslide on a platform of peace, prosperity, and conservatism.